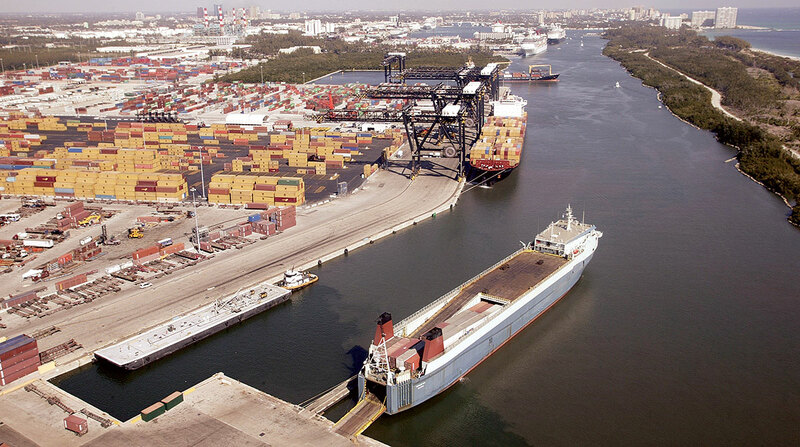 The dispute arose earlier this year from truckers who handle cargo delivered by Chiquita, Mediterranean Shipping Co., Maersk Line and Zim, which are the primary oceangoing carriers whose ships call at the Fort Lauderdale terminal, known as PET. They complained of poor working conditions there, including long wait periods and slow cargo processing. Richard Rovirosa, president and CEO of PET, and terminal manager Javier Miranda on July 11 met with representatives from Ace Transport, Palmetto Transport, Nighthawk Trucking, Delta Trucking and Southern Global to address concerns and discuss improvements. Rovirosa reported last week that the meeting had ended positively and that the two sides had reached an agreement. However, the trucking community on July 30 said a boycott is still possible. Attorney Brian Mathis, who represents the truckers, said they want — and as of July 30 had not received — a signed agreement. They had put together a formal service agreement with requested conditions, but that has gone unanswered, Mathis said. “My understanding is that PET did not formally respond to the proposal, meaning there was no further discussion regarding any of the points identified in the document,” Mathis said. “We want a service agreement signed, and they aren’t giving us that,” said Alberto Bello, vice president of Palmetto Transport. Instead, Rovirosa distributed a flier to the trucking community on July 20, addressing some of the changes requested by the truckers, he said. Rovirosa said he plans to meet with members of the trucking community to sign the flier he sent out, though he did not give a date for this meeting. During a phone call July 30, Rovirosa said he did not know why the truckers are upset. “There is no problem here,” he said. PET is the third-largest terminal out of 11 within Port Everglades, according to Ellen Kennedy, spokeswoman for the port. Port Everglades acts as a landlord to the terminals, she said, and it lets customers handle their own issues. The trucking community notified PET on June 21 of a potential boycott if working conditions did not improve. Drivers face long lines outside the terminal and inconsistent hours of operation, which causes them to lose money, they say. Rudy Alvarez, president of Ace Transport, said his drivers have become very frustrated with the conditions at PET and had discussed plans to confront the issue at least four months ago. Truckers are paid by the mile, so speed and turnover is the name of the game. “Being stuck at a terminal for a large amount of time cuts deep into their pockets,” Alvarez said. Alvarez said that it takes truckers three to five hours to get through PET, which includes time spent from the beginning of the line to exiting the terminal. However, Rovirosa said the terminal’s turn times are 45 minutes, which does not include wait times outside of the terminal. “I can only measure what’s in our facility. I can’t measure anything outside. I don’t know what they’re doing out there. If they’re getting coffee, waiting for a shipment call or actually in line,” he said. Mathis said that the trucking community will dispute this claim if legal action is taken.